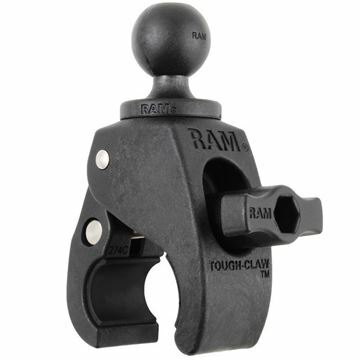 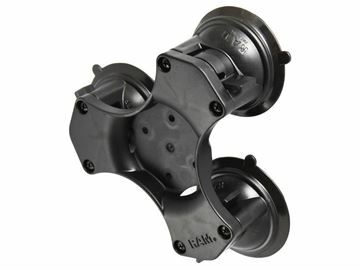 The RAM-B-202U RAM 2.5" Base w/ AMPs Hole Pattern & 1" Ball from the RAM Mount Bases range is professionally powder coated with marine grade aluminum. 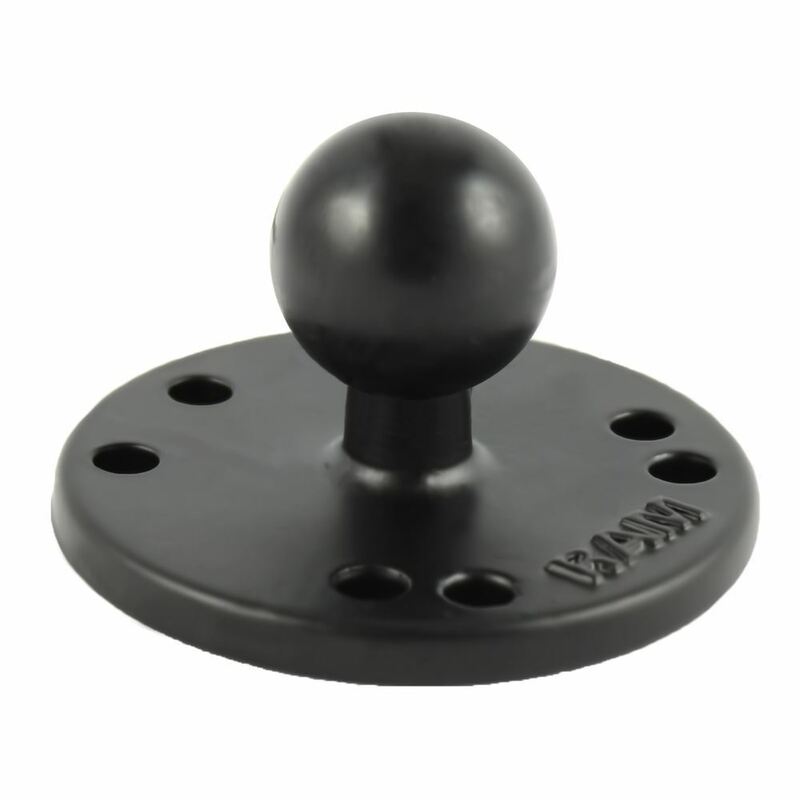 The flat 2.5” diameter base is joined to a 1” diameter rubber ball, with a pair of holes approximately 1.912” apart, allowing for the universal AMPS hole design and maximum compatibility. 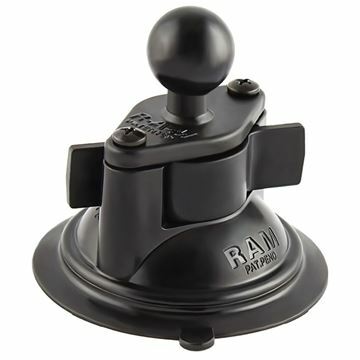 The RAP-365-224-1BU Triple Suction Cup Base with AMPs Hole Pattern features three 3.3" suction cups with twist lock and a base plate with the AMPS hole pattern.